I highly recommend this book. It has been a while since I have read a book containing so much insight and practical information. The topic is listening and the character traits and behaviors that make us good listeners are covered well. The part of the book that had the greatest impact on me was the section explaining how humility is a requirement to being a good listener. Harling believes growth requires getting honest feedback. Humility is essential to listening well and getting the feedback we need. The book includes lots of practical suggestions about life in general. If you want to appear more inviting to other people, smile more and walk with a bounce in your step. If you want to assess the emotional state of others, body language tips are given to increase our observation skills. She also has a great chapter on navigating conflict, including good suggestions for dealing with toxic people. Harling includes many practical ideas. For example, she has questions to ask ourselves when we feel like we are compelled to give advice rather than compassionately listen. She has ideas for drawing out other people's stories. She has a great section on the necessity of being self aware and how to get there. We Christians are admonished to be quick to listen and slow to speak (James 1:19). That is not an easy task in our egotistical society. Harling offers biblically based practical ideas for being good listeners. If you want people to feel heard and loved, I highly recommend this book to you. In addition of great content in the text, she has added questions at the end of each chapter to help us listen to God, our heart, and others. Mastering the art of being a good listener comes with a cost but the rewards are great. Becky Harling is a certified speaker, leadership coach, and trainer with The John Maxwell Team. She is the founder of Moms Unleashed and the author of several books. She and her husband live in Colorado Springs, Colorado. You can find out more at http://beckyharling.com/. I have read all of the Gwen Marcey novels and enjoyed every one of them. I like the characters and the plots are always entertaining yet informative. This novel concentrates on troubling events from Gwen's childhood. The current investigation reminds her of a similar crime in her past. Because of that, this novel deals more with Gwen's self discovery than I have seen in other novels in the series. At first I found this a little disconcerting. I love a strong protagonist and Gwen seemed weak, stumbling through the investigation. I almost didn't like her. As the plot progressed, however, Gwen found out more about her past. In the end she was back, the strong woman I appreciate so much. I always like to learn something when I read a novel. Gwen was working with the tribal police in Idaho and there is much about the Native Americans, their beliefs and history. I enjoyed the police procedure plot but I think the emphasis for this novel was more on personality development. Adversity helps us develop into the people we are today and Gwen has experienced much of it. She experiences more near the end of this novel too. The Christianity in this novel is not blatant. There are references to Scripture, however, as well as a great lesson on forgiveness. Carrie Stuart Parks is an award winning fine artist and internationally known forensic artist. She teaches forensic art courses to law enforcement professionals and is the author/illustrator of several books on drawing. You can find out more at http://www.carriestuartparks.com/. Can the wealthy make a difference in the Kingdom of God and influence the spread of the gospel? Pier believes that money can be used in the temporal realm to impact the eternal. He gives us many examples of wealthy people doing exactly that. There are thirty one stories and Pier suggests reading one a day. He then suggests praying about how God can use us. There are points to remember at the end of each story as well as a printed prayer. These are stories about people with great personal wealth. People like Mart Green whose father started Hobby Lobby. People like the man who sold his company for a billion dollars. People who establish foundations from their wealth. People who head multi-million dollar companies with thousands of employees. People who own sports teams. The stories are inspiring in that it is good to know that there are people of great personal wealth who are using that wealth to advance the gospel. The stories are good examples to Christians of great personal wealth, showing how that wealth can be used to advance God's purposes in the world. I am unclear as to the inspiration these stories might be to the rest of us, those in the middle class or lower. It is good to be reminded that generosity can be exercised at any level of wealth. It is also good to be reminded that God is using people in the business and financial worlds. We may not have the resources of the wealthy but we can use the gifts we have to expand God's Kingdom. I recommend this book to people of wealth and influence. You will be encouraged and inspired by the stories contained within. I also recommend this book to Christians who feel called to work in the marketplace. These stories will illustrate how God has used many people in a variety of professions. Mac Pier is the founder and CEO of The New York City Leadership Center and was instrumental in founding the inaugural Movement Day conference. He also serves the Lausanne Movement as the City Catalyst. He has been a resident of New York City since 1984, living in a diverse neighborhood. The aim of this book is to help us get on a path to health and wholeness, to renew our whole person, inside and out. It is an eight week journey in which Keeton teaches mostly about our relationship with God and gives a little nutritional information. The idea is for us to develop our own fitness and nutrition plan from the bits of information given. Keeton lays the foundation of seeking God first. The issue is deeper than food so she spends most of her writing on the spiritual aspect of our lives. She writes about fasting and its benefits. She informs us about nutrition in week three and suggests a detox fast (sugar, white flour, alcohol). Week four addresses activity after another spiritual lesson. The rest of the weeks have a spiritual emphasis. This is a book for people who are serious about changing their life, both spiritually and physically. Keeton has us starting the program by signing a contract with God. This is serious business and requires a commitment to do the work. Keeton does not give a specific diet nor a prescribed exercise routine so we need to be self starters to make this program effective. Workout videos are available at the Revelation Wellness website. The material in this book is really nothing new. I have seen it many times before in books for Christians on establishing a healthy lifestyle. I think the strength of this book is the material at the end of each chapter. Questions are included for use by individuals or in a group. A Renew section emphasizes spiritual questions. The Relate questions helps apply the information in the chapter to our daily lives. There is also a success story included. Those aspects of the book would make it a good choice for a small group study. Keeton quotes a study that says in 2014 it was determined that seventy percent of Americans were overweight. If you are one of them and are ready to make the commitment to renew your spiritual life as a foundation to recreating yourself physically, this book has some information and lots of encouragement to get you on your way. You can find out more about the book and the program at www.revelationwellness.org. Alisa Keeton had been a fitness professional for more than twenty-five years when she launched Revelation Wellness, a nonprofit ministry using fitness as a tool to spread the gospel. She and her husband live in Phoenix with their two children. There are many books in print trying to explain why Christians believe in an all powerful good God yet find we have evil in the world. I have read many of them. I think this one stands out. Jones writes that it took him over twenty years to write this book. It shows. There is a deepness of thought and presentation that I have not seen in other books on the topic. He has studied the subject well, reading many books as well as pursuing Scripture. A few of his many teachings stood out to me. One was his questioning whether there were any “good” people. The question of why bad things happen to good people looses its meaning when we realize that there are not any good people. Jones uses history and Scripture to prove his point. Another part of the book I particularly appreciated was his teaching on evil entering the world through Adam's sin. I understood his explanation of why we are punished for Adam's sin. We are born with a nature inclined to sin – related to why there are no good people. Even though I had studied this topic, I found new insights from Jones. 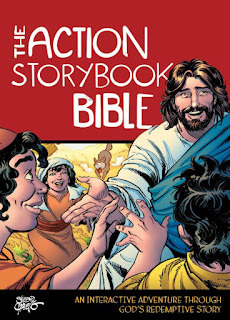 This is a book for Christians. It explains why a good God has good purposes for allowing evil. Jones writes about being prepared for eternity, comparing the suffering here with the experience there. Lest readers think he knows nothing of suffering, he shares his own experience with excruciating pain from bone cancer. Jones does a great job of answering the arguments of critics, such as atheists. He points out the fallacy of their arguments clearly. I highly recommend this book to Christians who want a biblically based and well reasoned explanation as to why an all powerful and good God allows evil. Jones wants our understanding to be shaped by what Scripture says and he presents that well. Clay Jones (DMin) is associate professor of Christian apologetics at Biola University. He has hosted a syndicated talk radio show and is the chairman of the board of Ratio Christi, a university apologetics ministry. He and his wife live in southern California. You can follow his blog at http://www.clayjones.net/. Great people of history often have myths added to their lives. Such was the case with Luther. Malessa looks at many familiar stories about Luther and tests their truth. While this book is not a biography, it is very informative. Malessa really helped me understand the medieval situation and the beliefs of the time. That was good for putting Luther's sayings into the context of that era. The section I appreciated the most was the one on indulgences. Malessa identified Luther's real concern on the issue and I realized I had had a wrong understanding of the situation. I also found out that Origen of Alexandria (third century) developed the idea of purgatory in the afterlife. I also found out how “Protestants” came about – not from Luther. And he probably didn't throw the inkwell at the devil. That's just a bit of what I learned from this book. I recommend this book to those who want a better understanding of Luther and what he contributed (and did not contribute) to the Reformation. I really like Malessa's writing style. It is very personable and not at all scholastic. He's got a good sense of humor too. Andreas Malessa is a theologian, author, and lyricist, most recently for the musical Amazing Grace. He and his wife live near Stuttgart, Germany, and have two grown daughters. Moore knows what it is like to be in a pit. Sexually abused at a young age, she needed to be delivered from a pit. She shares what she has learned from her experience and her study of Scripture. I appreciate that Moore distinguishes the ways we get into a pit. Our own decisions, perhaps to sin, is only one of the ways. It might very well be the sin of another, such as a parent or an abuser. Perhaps it is a tragedy, such as to another family member or close friend. The good news is that we don't have to stay in that pit. Moore helps us understand that, although God may use people, He must be the Deliverer. He will not share His glory with another. She is convinced of the power of praying Scripture and gives a week of sample prayers at the end of the book. I thought Moore was particularly insightful when writing about the role of other people. We might look to another to help us our of the pit. We might think we can help someone else get out of their pit. Moore helps us understand how we can impact others and also what we should avoid. Moore presents a challenge to readers. “God will be your Deliverer or nothing at all.” (115) God wants everything we've got. That's a prerequisite to deliverance readers must accept before expecting God to move. She tells lots of stories on herself to illustrate the principles she teaches. She has a good sense of humor that I really appreciated. The combination of personal stories and some humor make this book a pleasure to read, even though it is about a very serious subject. I highly recommend this book to those who truly want to get out of their pit. This book fills in the teaching so often missing from our pulpits. Moore has provided reflection questions and personal application suggestions at the end of each chapter. That makes it a great book for individual use or with a group of trusted friends. This book was first published in 2007. Beth Moore is a teacher and the author of bestselling books and Bible studies. Her speaking engagements have seen her travel world wide. She is a wife, mother and grandmother and leads Living Proof Ministries. You can find out more at www.bethmoore.org. W Publishing Group, 255 pages. Fallon Hart has landed her dream job—directing the annual melodrama, Miss May’s Dilemma. But when Fallon arrives in Pine Ridge, Colorado, she finds her new apartment in flames. To make matters worse, her manager wants her to sing an impossible solo. Her family wants her to give up the theater and join the family jewelry business. And her selfish, controlling ex-fiancé wants her back. The biggest dilemma of all, though, is trying to make everyone happy. This is a straightforward romance. There are no complicated plots nor complicated characters. The story is your typical romance. Boy meets girl, obstacles appear, one or both overcome the obstacles. In this case, Fallon is a young woman who has had a disastrous experience on the stage. She is not sure she will ever be a success in front of an audience again. I had a little trouble liking Fallon as she seemed immature and weak. The play with which she works in the novel is a melodrama and her personality seemed to fit right in with the typical heroine in such a production. The character of Lucas, the dashing firefighter, seemed to fit right in with the typical male rescuer in a melodrama too. The strong message of the story is trusting God for the future. Fallon has to do that with the help of Lucas, a very special man. I do recommend this novel to those who enjoy a straightforward Christian romance. You'll be entertained and get to experience a little of a small town melodrama too, both on the stage and off. Dena Netherton grew up in the San Francisco bay area but always dreamed of a living in the Colorado Rocky Mountains, while writing compelling stories that inspire and encourage readers. However, her music theater studies took her to the Midwest where she earned a Bachelor of Music at Oberlin College Conservatory, and later, the University of Michigan where she earned a Master of Music. Years later, she and her husband and three children joyfully moved to Colorado where she began to write and publish articles and stories for numerous Christian Publications. Dena’s background in music and theater has provided her with wonderful memories to draw upon when creating her stories. A writer of both romance and suspense, Dena is also an active blogger on subjects of Christian faith. She and her husband now live in the beautiful Pacific Northwest. You can find out more about the book at Anaiah Press, Amazon, Barnes and Noble, iTunes, Kobo, and GoodReads. I received a complimentary digital copy of this book from the publisher. My comments are an independent and honest review. The rest of the copy of this post was provided by Anaiah Press. I really liked this book. First off, Clark's story is amazing. A young boy climbing higher than he should have on playground equipment fell on her head giving her a spinal injury compared to that of Christopher Reeve. She shares the months of rehabilitation, the miracle of limb movement, relearning to walk, continuing pain. Now, years later, she still has an uncertain gait and lack of feeling in her fingers. Clark's writing style is great, personable and a pleasure to read. She combines her experiences with her insights and adds thoughts about God, trust and the theology of tragedy. She knows that many of her questions will not be answered this side of heaven. She wrote this book with the hope that Jesus will be glorified. She emphasizes the essential nature of the prayers for her. The people around her could tell God was moving because of the faithful intercessions of others. Clark is not the same person she was before the accident. She can't run. She drops things. She falls. She has constant nerve pain. Every day she faces her own fragility. Nonetheless, she is a testimony to the power of prayer and faith in a healing Savior. This is a good book for those who want to understand the experience of one blind sided by tragedy. Clark helps us realize how she persevered and how her condition affected her children too. She reminds readers that each of us has a story to tell of God's faithfulness. Questions for reflection and discussion are included. This book will be releasing January 2, 2018. Katherine Elizabeth Clark is a wife and mom. With a background in psychology, she has spent much of the last twenty years working and writing for a nationwide Christian radio and counseling ministry. She and her family live in Wheaton, IL. I received a complimentary advanced reader copy of this book. My comments are an independent and honest review. 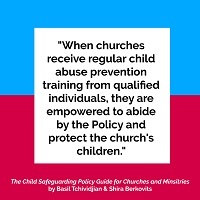 Having been in a church where child sexual abuse happened because the proper precautions were not in place, I know the need for good policy and adequate implementation. 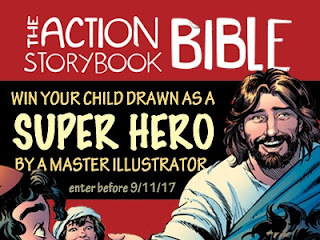 The organization behind this book wants to empower Christian communities to recognize, prevent, and respond to child abuse. 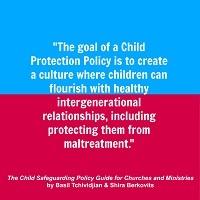 This book is a comprehensive guide for any church needing to write a Child Protection Policy. A foundation is given, helping readers to understand the dynamics of child abuse. Abuse is defined. How to spot behavior that indicates abuse is given. The impact of abuse is explored. They cover how to ensure child safety when hiring staff and recruiting volunteers. The community and its practices are considered. Along with the informative text are questions to answer with a view to writing policy. Samples of various policies are given too. After the abuse in my church, we went through the long and difficult process of writing and implementing policy protecting children. I wish we'd had this book. It would have made the process easier and I think the result would have been a better document. I highly recommend this book to Christian organizations who want to protect their children from abuse. This book gives clear understanding of the need for policy, how to draft the policy, and how to implement it. G.R.A.C.E (Godly Response to Abuse in the Christian Environment) is a nonprofit organization made up of highly trained, experienced multidisciplinary professionals who seek to educate and empower the Christian community to identify, confront, and respond to the sin of child abuse. You can find out more about G.R.A.C.E. at http://www.netgrace.org/. I received a complimentary digital copy of this book through Litfuse. My review comments are independent and honest. The rest of the copy of this post was provided by Litfuse. The copy for this post was provided by Litfuse. I have not read this book myself. This post is for contest purposes only and is not a review nor an endorsement. I like this book. I like the message and I like Patterson's writing style. I like how she has invited readers along on her own journey of growth. I can tell she shares her heart when she writes. We might think that we need to go to a special seminar or retreat to see spiritual transformation happen. Patterson shows us that transformation happens in the ordinary stuff of life, the sacred mundane. She reminds us that our success with transformation starts with belief, not behavior. We compare our thoughts and emotions to Scripture. Her explanation of the difference between reading the word and receiving it was enlightening. Patterson writes, “The mundane is where ministry happens, where worship happens, where transformation happens.” (91) I really liked her exploration of hupomone, endurance. It has been one of my favorite words too. I was surprised to read her claim that “God purposely disappoints us.” (141) She gives Scripture examples to back that up and explains the process. She helps us see how “trials work worship into our lives.” (141) God wants to build faith and trust in us, she says, rather than fulfill our wishes. I highly recommend this book. It helped me understand how God works in the every day moments of life to transform me spiritually. There is an extensive Small Group Study Guide included in the book. There are personal assignments for six days and then discussion questions for the seventh. This would be a great book to use for a group study or with a trusted friend. Kari Patterson is a popular speaker and blogger. She is a pastor's wife, homeshool mom, Bible teacher and mentor. She has a master's degree in pastoral studies from Multnomah Seminary. You can find out more at www.karipatterson.com. Clark explores the seven “I am” statements of Jesus with the aim of showing that He is the answer to all we need and it is in Him alone we find our true identity. Questions for personal reflection are given at the end of each chapter as are a couple of books for additional reading. Clark is refreshingly honest about her struggle with depression and an eating disorder. She faced postpartum depression twice, was diagnosed Bipolar II, and suffered a subsequent breakdown. This is an encouraging section for women who struggle with issues, realizing that Christians don't always get victory over every issue. Clark encourages readers to allow their weaknesses to be used for God's glory. Clark has good teaching on several issues particular to women. She writes about shame and feeling excluded. She has a good section on hearing from God. I found her section on spiritual dissonance particularly interesting. We can know much about God yet not experience the truths nor live in them. She writes like a teacher might teach. I felt like I was in a lecture hall while reading the book. Clark teaches truth to readers rather than inviting us along on her transformation journey. Because of that writing style, I had difficulty connecting with her teaching. There was one aspect of the book I found disconcerting. Before investigating the "I am" statements, Clark reminds readers that it is important to explore the context of Scripture and to whom the words were spoken. (Loc 567/3723) I found it rather odd that Clark began her book with an extensive teaching on Isaiah 43. She applied to women today what God clearly said to the Israelites through Isaiah centuries ago. She did not explain the context of the passage nor why she applied those descriptions to people other then to whom they were originally directed. This is a book specifically for women. There are topics discussed, such as sexual issues, that make this book inappropriate for men. Jerusha Clark is the author or coathor of a dozen books. She and her husband, Jeremy, pastor at Emmanuel Faith Community Church, have two daughters. You can find out more at www.jandjclark.com. This is a good debut novel. It emphasizes character development yet is interspersed with action and suspense. I read the prequel and I really like the intense love Elisabeth and Drew have for each other. It was very interesting to see how Elisabeth handled it when Drew was suddenly gone from her life. She struggled with letting go of his place in her heart, even years later. Drew was struggling too, to stay alive and sane in the midst of torture and other mistreatment. Even when Drew manages to escape, he knows there is a traitor in the CIA. He and Elisabeth are not safe. There was plenty of action included as Drew and Elisabeth try to stay one step ahead of those who want him dead. I recommend this novel to those who enjoy a good deal of suspense woven into a story of love and commitment. You'll find a clear message about saving faith in Jesus Christ and how that changes a life. Speaking of fan fiction, the original idea for Out of Darkness was a fan fiction based on that character from that show I talked about above. The waitress/artist who lost her first love and then fell for someone else. And then when her love returned, he was… recast. And terrible. And she forgot who she was and made every wrong decision. And everyone was miserable ever after. And I was like, what even IS this show?!?! So I started writing my version of how it should have gone. But then a surprising thing happened. My characters took on lives of their own, and I fell in love with ALL of them, and I knew I had to tell their story. 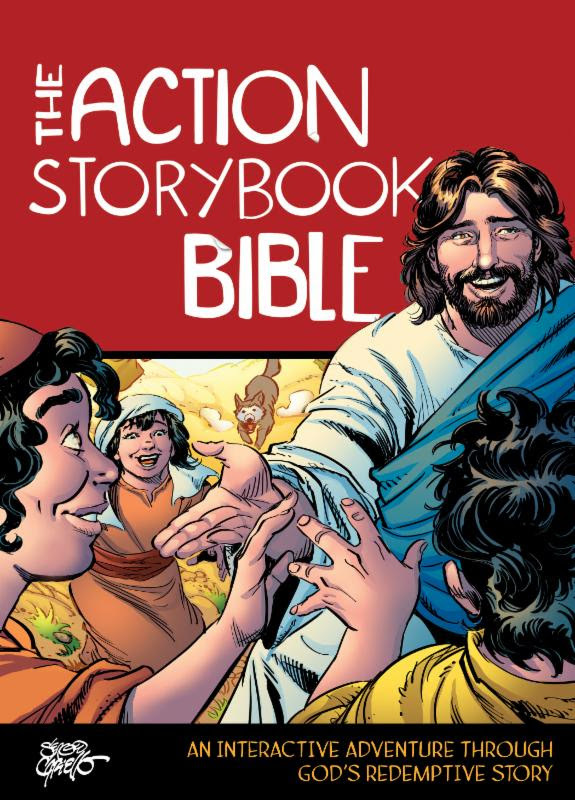 So I started creating a different back story for them (and I introduced them to Jesus), and then they became their own characters and started telling me what to do. And I’m a little insane now, but I’m not even mad because I love what this story has turned into (and turned ME into). Of all the exotic locations mentioned in Out of Darkness: Venice, Italy; Paris, France; Cordoba, Spain; Trim, Ireland; and even Washington, D.C. and Baltimore, Maryland, I have been to two—Baltimore and Paris. Google Maps Street View and Wikipedia are an author’s best friends. So what’s next, you ask? There’s more to explore here perhaps, but I honestly don’t know what comes next for these characters. That’s something I’m still thinking about. The story I’m working on right now also begins in D.C. but takes place mostly in the Pacific Northwest. It’s the story of an ex Army Ranger who has to protect his three little brothers when the youngest witnesses their parents’ murder. And there may also be a girl involved.